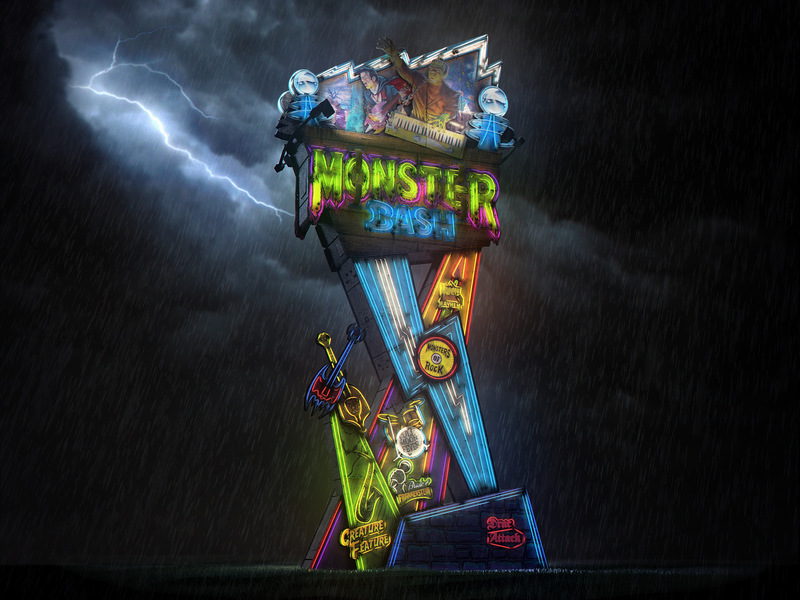 In this passion project, I explored the idea of conjuring up bizarre un-told vintage neon signs inspired by my favorite pinball machine themes. 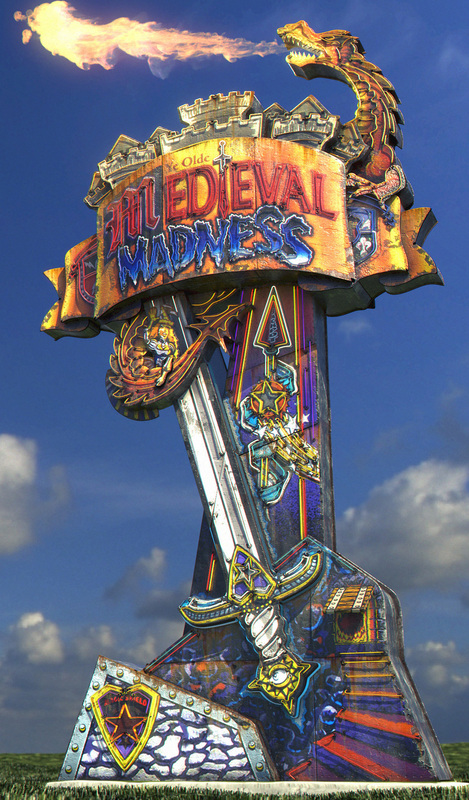 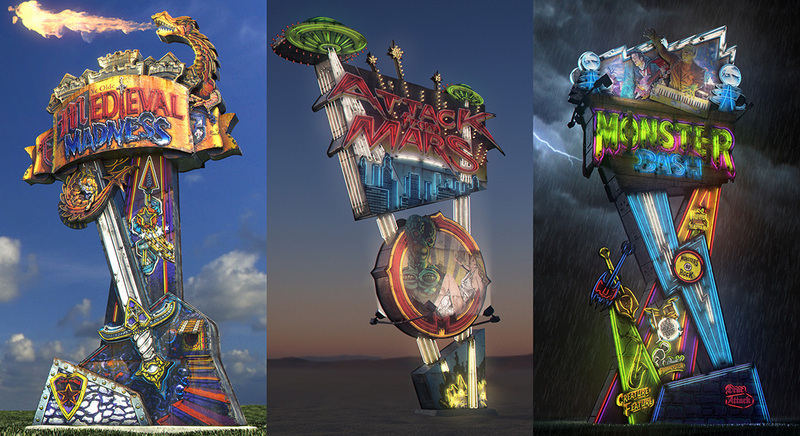 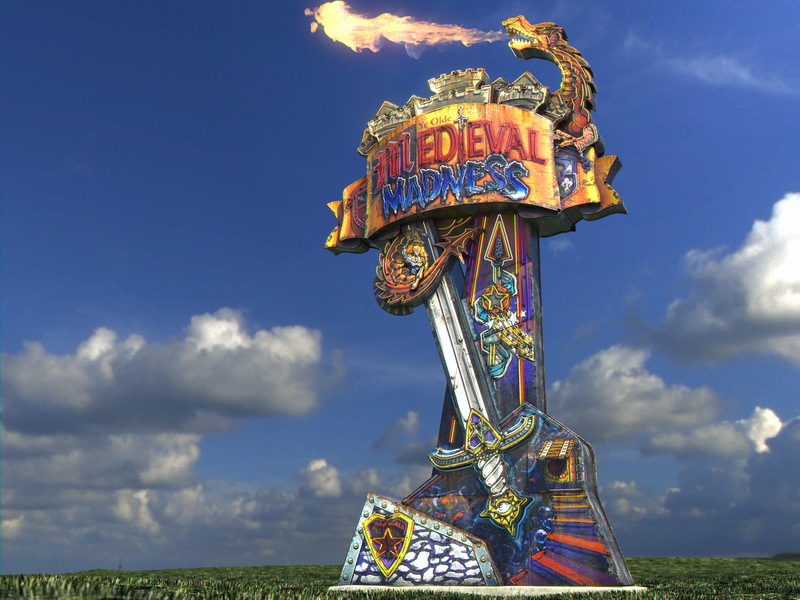 Each of these monuments use logos and bits and pieces of the artwork from the game, re-imagined here as giant signs. That said, much credit must be given to the original creators of these pinball themes and logos including Doug Watson, Kevin O'Connor, Greg Freres, John Youssi, Brian Eddy, George Gomez, and of course the rest of the incredible team at Williams. 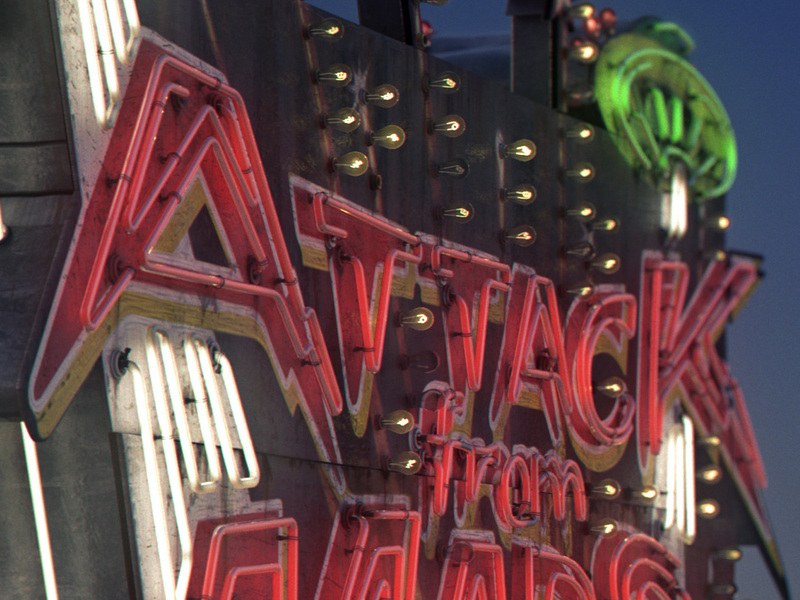 Much of my motivation as a 3D artist is to create images that inspire imagination. 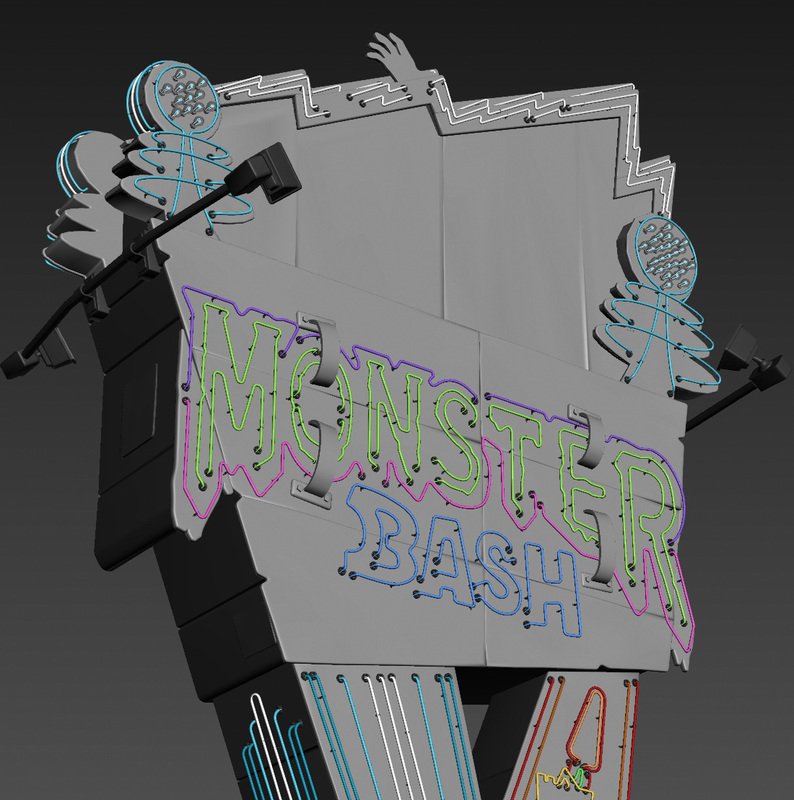 To create something unique that invites the viewer draw on their curiosity and wonder more about it. 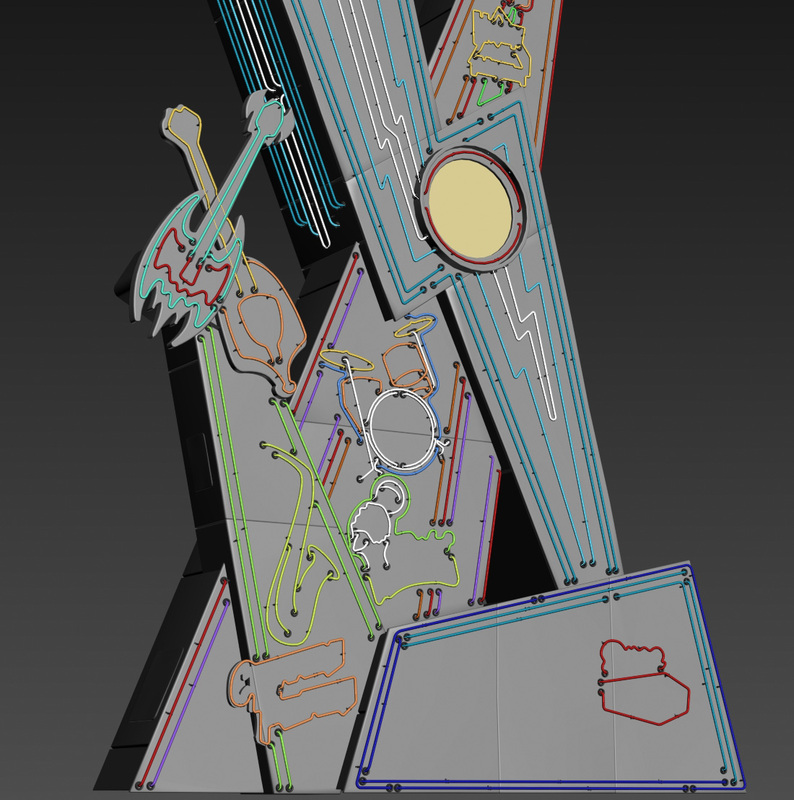 While I craft my own stories and meaning behind each sign, the hope is that viewers will use their own imagination to extrapolate when/where/how each of these items came to be. 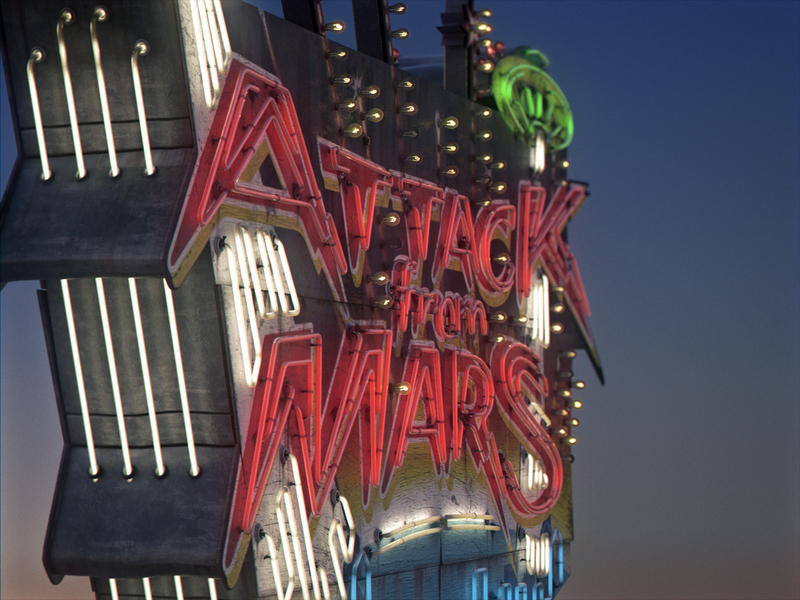 Again, many thanks to the amazing themes and artwork created by the history Williams team that inspired this project. 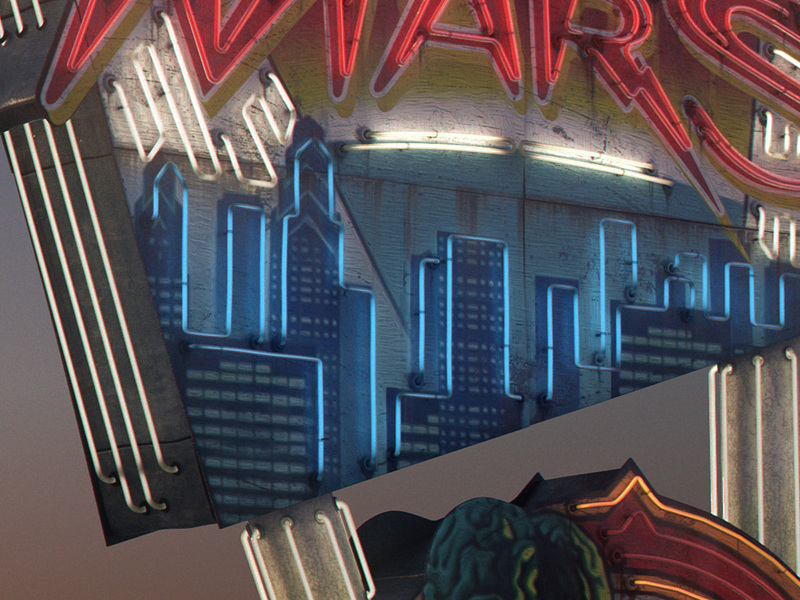 The project has been a great exercise in texturing, achieved by layering up many grunge maps, procedural aging techniques, and manually painted mattes. 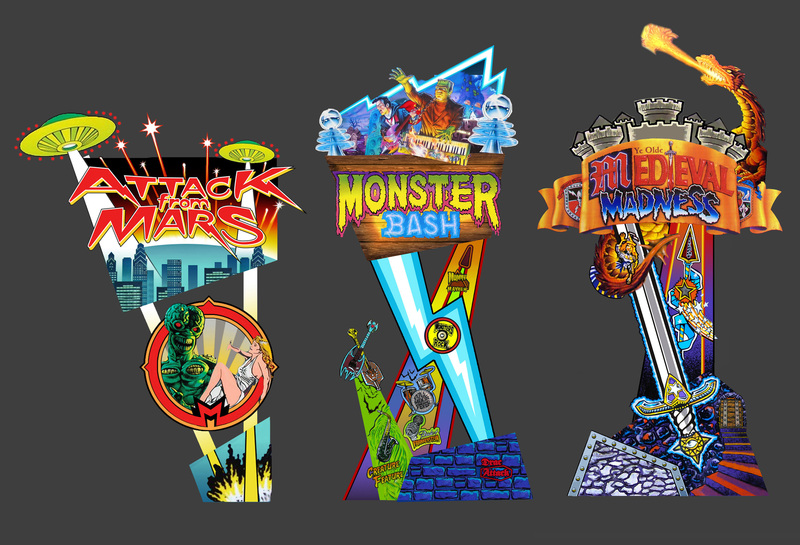 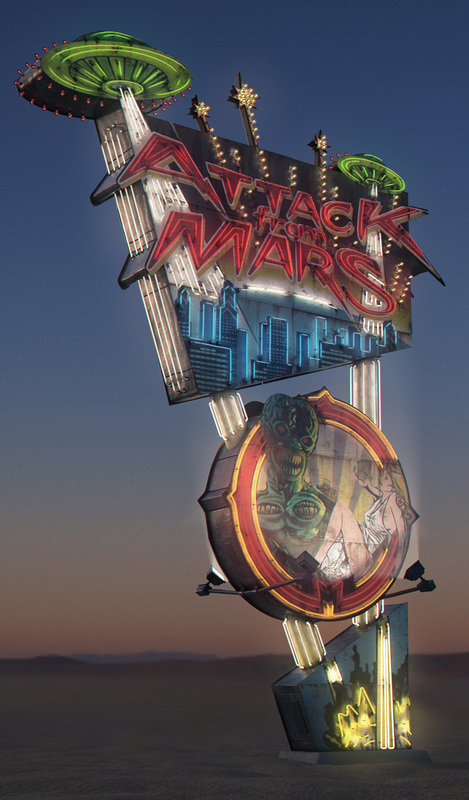 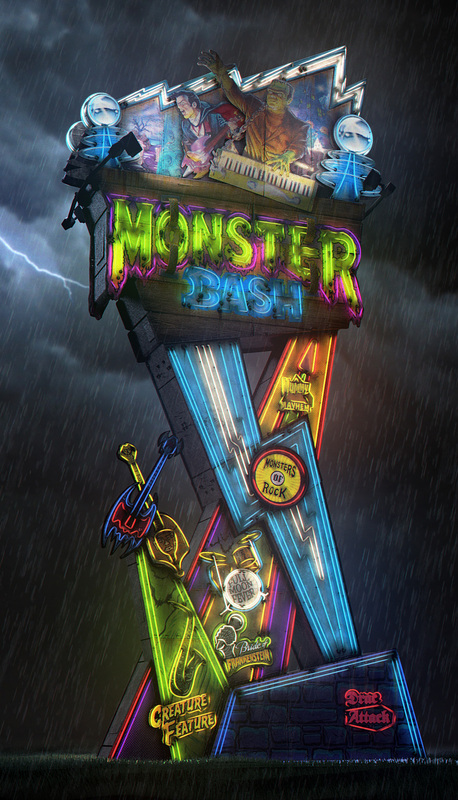 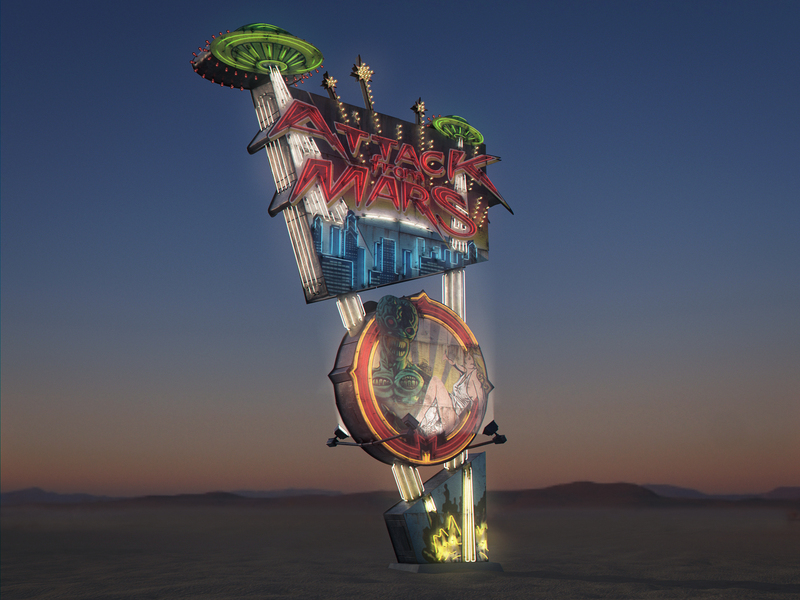 Before building in 3D, I first designed each sign in 2D using primarily the original artwork from the pinball machines. 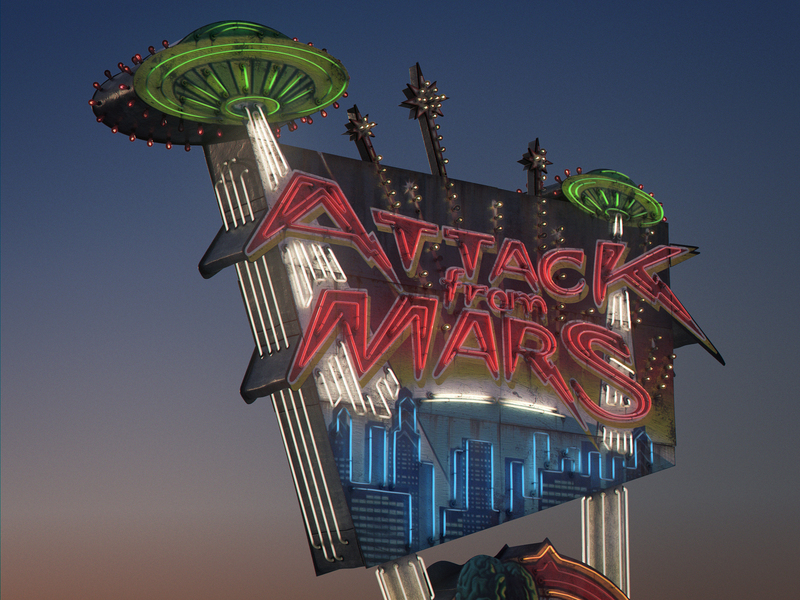 Numerous design iterations were explored, trying to find the right balance between realistic and fantastical.